Playing one role for more than a decade is a lucky break for an actor, but it can also lead to typecasting that never lets him or her escape the role. Luckily for Michael Weatherly, the thirteen years he spent as a major character on CBS’ NCIS haven’t stopped him from landing a new gig before he’s even left his old one, and his new character is distinctly different from Tony DiNozzo. 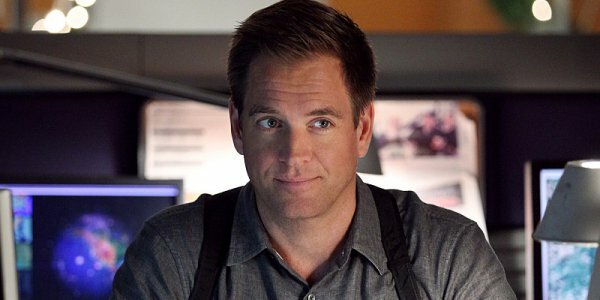 Michael Weatherly is set to play Dr. Phil in a new CBS pilot called Bull. Well, at least he’ll sort of be playing Dr. Phil. According to TVLine, Weatherly’s character will go by the name of Dr. Bull and will be based on Dr. Phil’s early days when he worked to run a particularly prolific trial consultation service. Considering that most of us probably know Dr. Phil from his talk show, Weatherly will hopefully escape too much comparison to the man who inspired the character. Although, since Dr. Phil McGraw himself will be working on the project, any comparisons would likely be flattering. There certainly can’t be too much physical comparison between Michael Weatherly and Dr. Phil as he looks now, however, unless Weatherly undergoes a rigorous hair and makeup routine every morning before work. From the sounds of things, Dr. Bull will in fact have a way with the ladies thanks to his physicality, wild intelligence, and fearless willingness to break taboos. Michael Weatherly will be joined on the pilot by Freddy Rodriguez of Six Feet Under fame and Geneva Carr from Rescue Me. The talented group of actors will be managed by a capable set of producers. McGraw is joined by Paul Attanasio of House in a writing and executive producing capacity. Rodrigo Garcia (In Treatment and Six Feet Under) will direct the pilot. Bull has only been ordered for a pilot at this point, so we likely won’t know for a while whether or not we can count on seeing Weatherly as Dr. Bull in an ongoing series. Given that CBS has some power players behind the scenes and has made sure to keep Michael Weatherly on the network’s roster, however, the pilot has at least a good chance at success. Weatherly’s new project isn’t a huge surprise. Although there were no details available, his production company does still have an ongoing deal with CBS. Nevertheless, confirmation of a project comes as a relief for those of us who have gotten used to having him around on the network. Weatherly does have some time left on NCIS, however. He’s set to finish out Season 13 before leaving as Agent DiNozzo, and so there’s plenty of story to be told to explain why he’s making his big exit. Hopefully, the character will not be leaving in a bodybag. To catch the rest of Michael Weatherly’s run on NCIS during the wait for news about Bull, tune in to CBS on Tuesdays at 8 p.m. ET. Given that NCIS has already been renewed for Seasons 14 and 15 and is searching for characters to fill DiNozzo’s place, there should still be plenty of reasons to watch even after Weatherly leaves.